Five Different Games PLUS Links to Other Games of the Series. 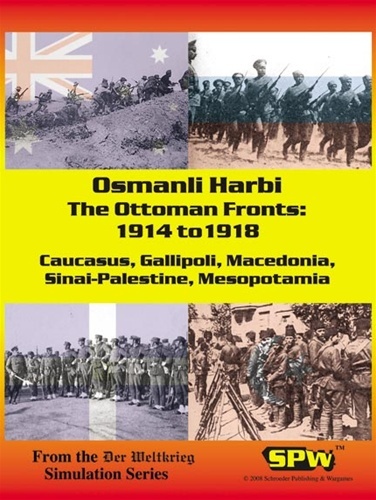 The Ottoman Empire joins the Central Powers in the World War. The Turks stop a premature Russian offensive and then launch a disasterous counter invasion. Thus begin three years of fighting in the desolate Trans-Caucasus mountains. The Ottomans attempt to seize the Suez Canal. The British advance across the Sinai to take Palestine from the Ottomans. The British move quickly to secure Kuwait and the strategic oil fields with the Indian army. The Indian colonial government lobbies to push further into Mesopotamia, with Baghdad as the objective. The British led forces move deep inland and then encounter serious difficulty. The plan was as brilliant as it was simple. Rapidly seize the Dardenelles and place Istanbul under the guns of the Entente fleet. This simple plan proved difficult to execute. 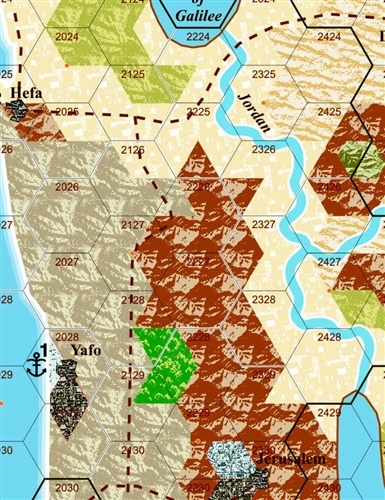 Poor planning, difficult terrain, and dogged Turkish resistance bring the amphibious invasion to a standstill. Gallipoli becomes the birthplace of Australian and New Zealand national identities, as well as that of the modern Turkish army. 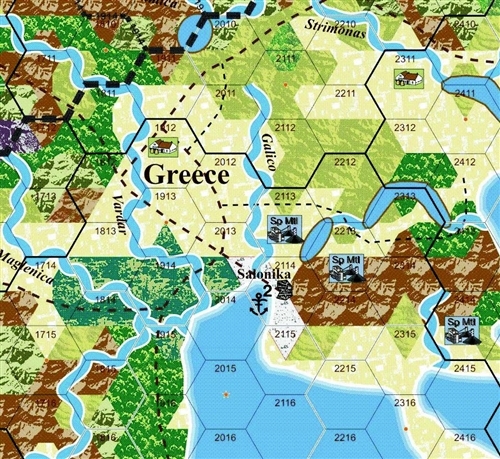 Serbia's imminent collapse causes the Entente to occupy the Greek port of Salonika. Combined British, French, Serbian, and finally Greek forces fight against Bulgarians and their German and Austro-Hungarian allies on a strategically important front.